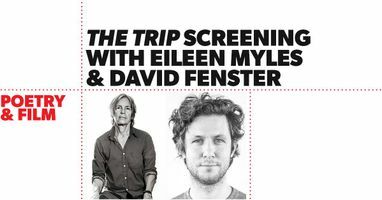 Come see a screening of The Trip, a road trip movie through the majestic, rough-hewn landscape separating Texas towns Marfa and Alpine with acclaimed poet Eileen Myles as your guide. Inspired by Jack Kerouac’s spoken score of Robert Frank’s 1958 poetic classic Pull My Daisy, and Louis Malle’s 1981 talk drama My Dinner With Andre, Myles discusses daily life and political realities with their childhood puppets, Oscar, Bedilia, Montgomery, Casper, and Crocky. After the screening, filmmaker David Fenster joins Myles for a live conversation.